To err is human, let's get that clear. 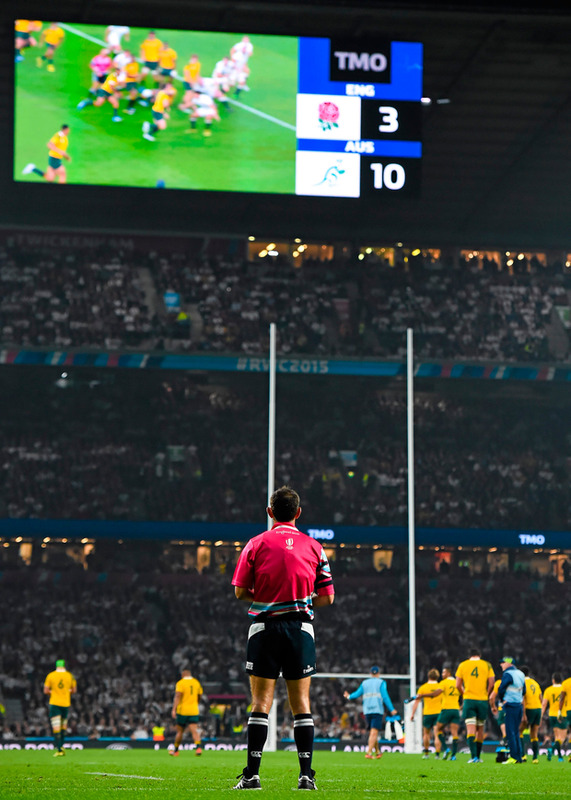 The use of the Television Match Official (TMO) has on balance proved a very positive addition and both rugby codes have got it pretty much nailed, although we could do with a quickening of the process. In order for that to happen we are relying on 'the man in the box' to get it right and here is where I have an issue. The best of referees may not have been the best of players in their time but the vast majority have played the game and so have at least a feel for it. I'm not going to tarnish all TMOs with the same critical brush as I know precious few of them and therefore have little if any knowledge as to their rugby-playing background. That said, in Limerick I was astonished at how the referee let the TMO dictate what could best be described as mad hatter calls - decisions that sure as hell wouldn't happen on Nigel Owens' watch. Quite how they deduced that James Davies did not deliberately trip Sam Arnold on the back of a kick through because the ball bounced off his (Davies') leg is beyond comprehension. And as for the apparent double movement by James Cronin, culminating in a disallowed try, it simply beggars belief. I would prefer to be making these comments had these specific incidents worked against Scarlets - lest I am accused of some form of bias. I couldn't care less who they are for or against I just cannot for the life of me comprehend how anyone who has played the game can, with such evidence, get it so wrong. I am all for the reviewing process if there is any semblance of doubt but it is time for the technical aficionados to be open to being dropped when their form dips and the game suffers.